176 and 177. Contrivance for uncoupling engines. 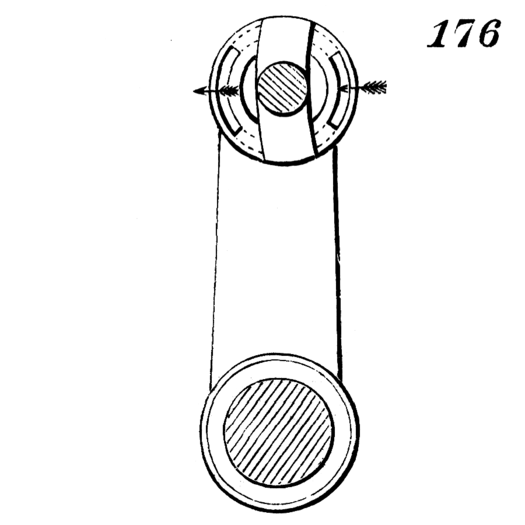 The wrist which is fixed on one arm of the crank (not shown) will communicate motion to the arm of the crank which is represented, when the ring on the latter has its slot in the position shown in 176. But when the ring is turned to bring the slot in the position shown in 177, the wrist passes through the slot without turning the crank to which said ring is attached.